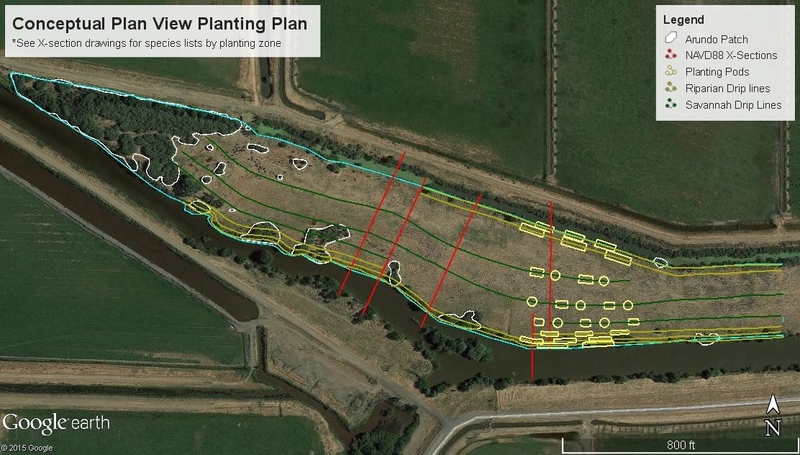 Since 2014, the Delta Conservancy has led a pilot project controlling Arundo and restoring riparian forest habitat in the Cache Slough Complex, funded by the California Department of Water Resources (DWR), and partnered with the Solano Resource Conservation District (SRCD) and Sonoma Ecology Center (SEC). As part of the Delta Region Areawide Aquatic Weeds Project (DRAAWP), we are also collaborating with the U.S. Department of Agriculture – Agricultural Research Service (USDA-ARS) on biocontrol agent release trials and integrated biological/chemical control at several Delta sites since 2015. These pilot projects have led to increased understanding of the most effective Arundo control and restoration techniques for the region as well as a better understanding of resource requirements for addressing the problem. 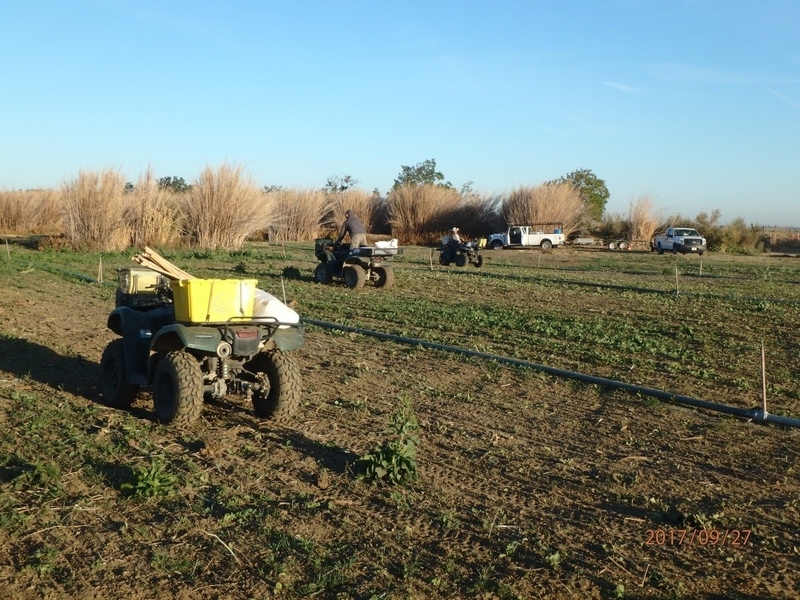 For example, data from these projects underscore the importance of repeat chemical treatments to eradicate Arundo. Figures 1-3 illustrate the control efficiency at a restoration site in the Cache-Slough Complex achieved over the course of three years with annual foliar application of a formulation of glyphosate (3%), imazapyr (1%), and surfactant. Figures 1-3. Maps show the percent cover of live Arundo over three years (2016, 2017, 2018) at the Ulatis Creek Arundo control and restoration site. Patches were first treated with chemicals in 2015, using a mix of glyphosate (3%), imazapyr (1%), and surfactant. The patch on the south side of the creek was not treated. Although Arundo cover declined markedly after the first treatment, many patches still retained 1-5% cover three years later. The Delta Conservancy is currently exploring funding opportunities for a delta-wide, long-term Arundo Control and Restoration Program. We are also hoping to expand upon the keystone collaborative partnerships that we have been developing with other agencies and private landowners while implementing the pilot projects. Many riparian habitat restoration opportunities are on privately owned land and require cooperative agreements with willing landowners. They also require collaborative working relationships with local resource conservation and reclamation districts that have the necessary technical expertise to lead habitat restoration and long-term stewardship of restored sites. We are expecting to garner interest from potential partners by showcasing the success of our current projects, such as the Arundo eradication and subsequent habitat enhancement completed on a privately owned 18-acre site adjacent to Ulatis Creek (Figures 4-7). Figure 4. 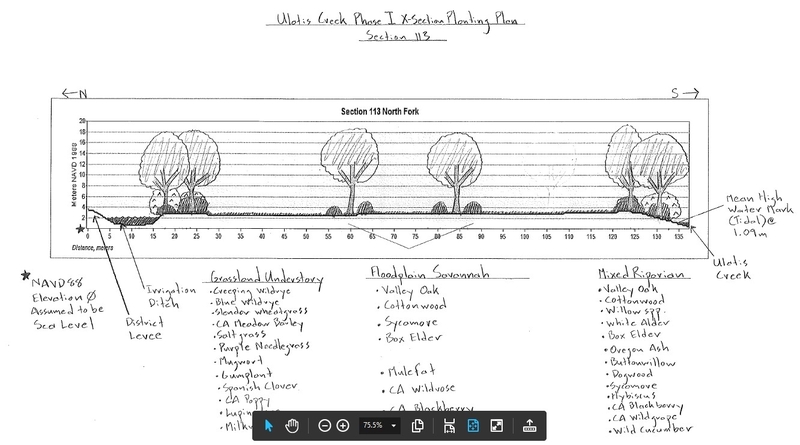 Conceptual planting plan for the Emigh R. Livestock / Ulatis Creek Arundo control and habitat enhancement project site. Figure 5. Cross-section of the conceptual planting plan for the Emigh R. Livestock / Ulatis Creek Arundo control and habitat enhancement project site. Figure 6. Emigh R. Livestock / Ulatis Creek Arundo control and habitat enhancement project site prior to the beginning of restoration work. Treated Arundo is visible to the left and right. Please contact Thomas Jabusch (thomas.jabusch@deltaconservancy.ca.gov) for more information on the Delta Conservancy's Arundo Control and Restoration Program. Thomas Jabusch is a Senior Environmental Scientist with the Sacramento-San Joaquin Delta Conservancy. 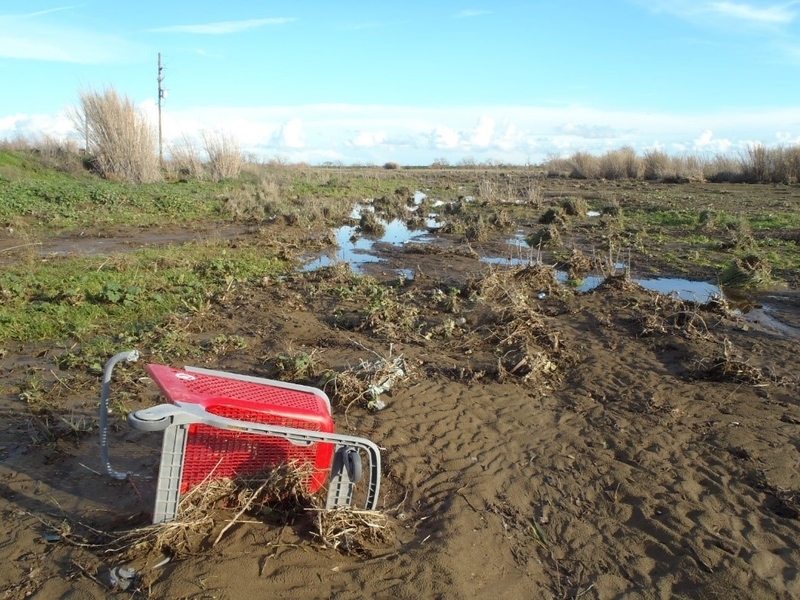 He also participates in the Delta Region Areawide Aquatic Weeds Project (DRAAWP).